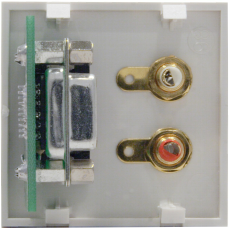 50mm module utilising the DADO-90P™ board, allowing the use of pre-made VGA cables. 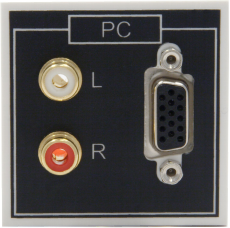 The module is also fitted with Left and Right, gold plated, phono sockets for audio using rear panel solder connections. Note: Due to the size of a VGA plug this module should always be used at the right hand location within a 100mm frame.